What You Need to Know About ASBESTOS - Environmental Studies, Asbestos Investigations, Industrial Compliance & Soil/Groundwater Remediation. RAPCA is the Regional Air Pollution Control Agency*. The purpose of RAPCA’s Asbestos program is to protect the public from asbestos emissions, or fibers, which may become airborne if strict regulations are not followed when a building is being renovated or demolished. Asbestos program activities include a contractor notification procedure, sample identification, on-site inspections and follow-up activities. RAPCA insures that the proper techniques are used in the removal of asbestos from buildings. All removal operations must be properly permitted and selected projects are also inspected depending on the size and scope and the compliance history of the removal contractor. Asbestos regulations apply to commercial or industrial size buildings, however, a number of smaller buildings also contain asbestos and thus, present a potential health hazard. Owners of these smaller buildings are required to follow a local asbestos removal rule (Regulation 150) of Public Health – Dayton & Montgomery County. 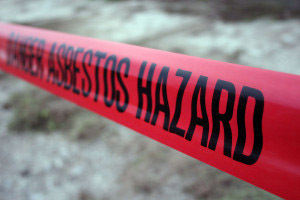 The asbestos removal regulation applies to all renovation or demolition projects involving 50 feet or more of asbestos, including projects in single family residences. If you have questions about whether your project requires a permit, please contact Sarah Gostomsky with RAPCA at (937) 225-5947. *RAPCA has jurisdiction in the following areas: Clark, Drake, Greene, Miami, Montgomery, and Preble Counties in Ohio.